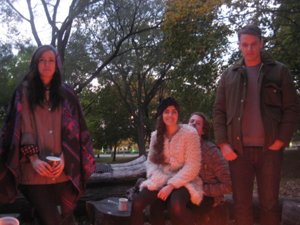 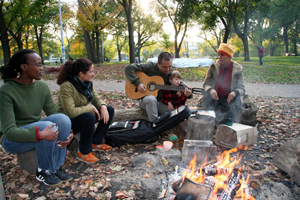 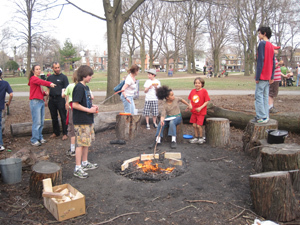 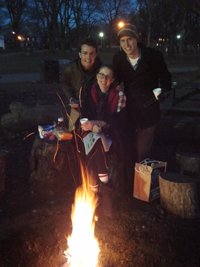 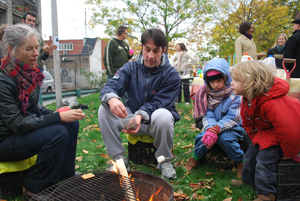 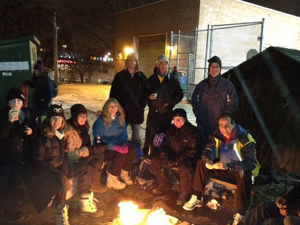 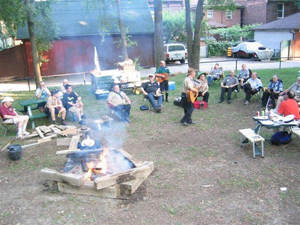 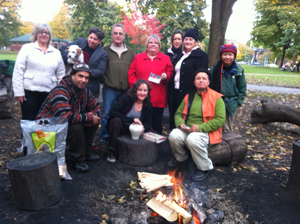 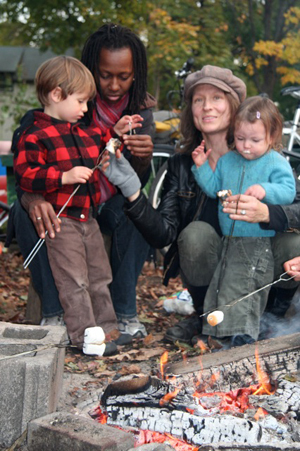 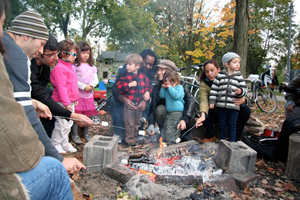 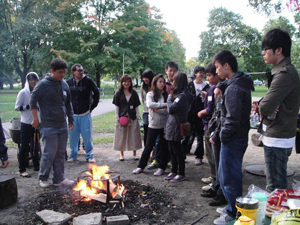 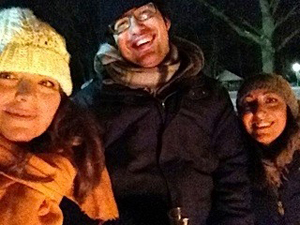 The campfires at Dufferin Grove started in 1994, to increase the night-time liveliness of the park and therefore make the park safer and friendlier. 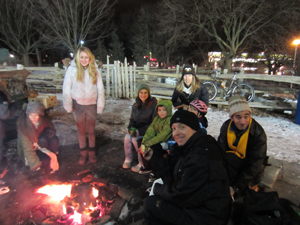 The two fire-sites are intentionally located right by the main park thoroughfare. 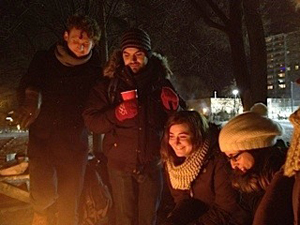 A city is a place of many strangers, and it can be scary – a dark park even more so. 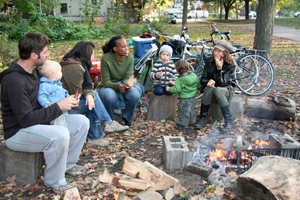 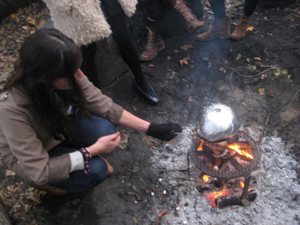 But a campfire is a reassuring circle of light and activity. 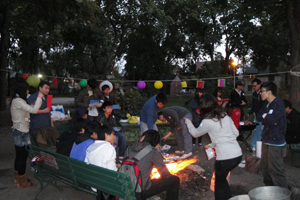 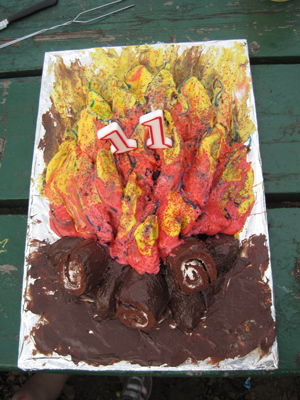 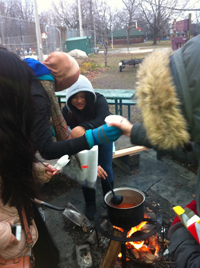 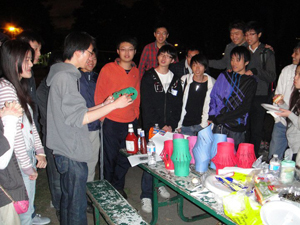 So the campfire participants contribute the neighbourliness of the park.